Dentists consider dental implants, or root devices that support dental restorations, the superstar of restorative dentistry for a host of reasons. They maintain proper spacing in the dental arch and preserve bone density. And while bridges need to be replaced about every 10-15 years and dentures must be replaced every 5-7 years, dental implants can last a lifetime with proper care. They have a 98% success rate! Dental implants do not require constant adhesives like their cousins, dentures, and do not slip or slide. With dental implants, your chewing ability will be superior to dentures. They look and feel like natural teeth, too. Dental implants’ other attractive benefit is they don’t require the need to reduce surrounding natural teeth like dental bridges sometimes do. And individual implants also allow easier access between your own natural teeth, making oral hygiene practices convenient. Typically, patients healthy enough to undergo a routine dental extraction or oral surgery are candidates for dental implants. But ideal candidates for dental implants should have healthy gums, enough bone to hold the implants, practice good oral hygiene and maintain somewhat regular dental visits. Their overall health must be optimal, too. Heavy smokers, diabetics, and those with cardiovascular disease must be evaluated on a case-by-case basis. Dental implants involve two separate procedures. After ascertaining whether or not patients are good candidates for dental implants after an examination, Dr.Patel does the titanium posts to be inserted into the jaw. Once the posts have fully rooted with surrounding bone tissue (it can take 3-6 months), you return to our facility for us to implant a custom-fitted crown, bridge or denture in place. Most dental implant recipients say that the procedure involves little discomfort—even less than a tooth extraction. We use local anesthesia and can recommend a gentle sedation option for your comfort. Feel free to ask us if dental implants are the right choice for you. We can help you get the dentistry you need, even if you don’t have insurance. "Dr. Patel and his staff were all awesome! I was living in the Lisle area for the summer from Utah and needed a lot of work done in a short amount of time. Dr Patel was always friendly and compassionate. He did a great job. I only wish he was here in Utah! Highly recommend!!" "I've really enjoyed going to Dr. Patel's office since moving to the suburbs. I would recommend him to anyone. His staff is courteous and makes scheduling easy. He is complimentary, gentle, and really shows a lot of care for your dental health and smile satisfaction. After searching for a local dentist for a while, I'm very happy with my choice to go to Advanced Lisle Dental." 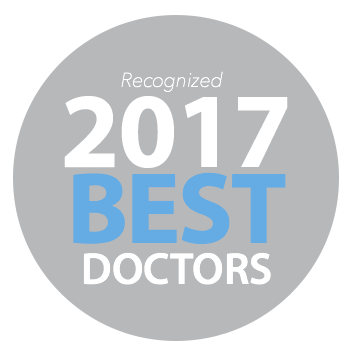 "Dr. Patel and his entire team is fabulous!!! They are knowledgeable, personable, and the medical expertise by Dr. Patel literally puts a smile on your face :) I have had a lot of dental work done and still need a lot more done and I would highly recommend Dr. Patel and his staff to family, friends, and anybody I know!" Have Questions? Call Us Now (630) 326-4060 OR Schedule Your Visit!